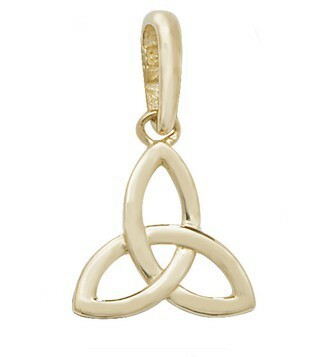 The symbolic Trinity Knot created in 9ct gold. Comes complete with a gold chain. Actual size:1.5cm.